Salmon pink with green foliage. 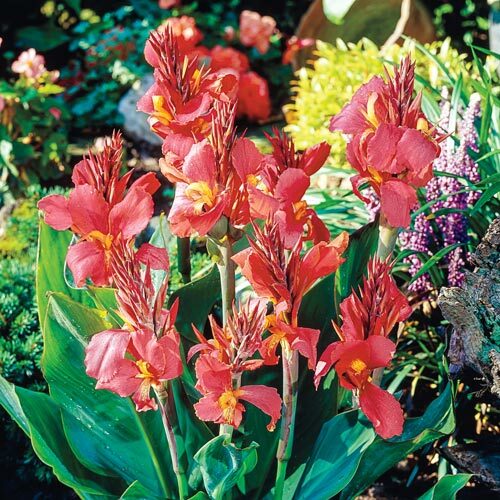 Cannas, with their lush tropical foliage and showy flowers, make borders and beds come alive with their bright colors all summer long. 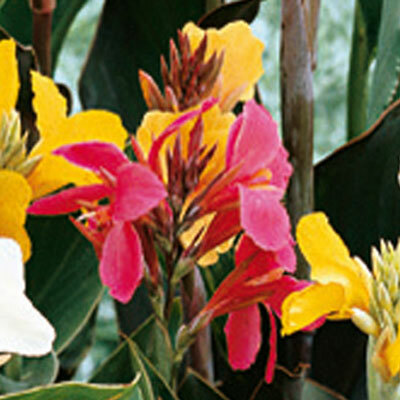 Long valued by park and municipal gardeners, home gardeners now realize the value of these new hybrids as each year their popularity grows.